The item A series of unfortunate events: lemony snicket : The Unauthorized Autobiography., Lemony Snicket, (ebook) represents a specific, individual, material embodiment of a distinct intellectual or artistic creation found in Charlotte Mecklenburg Library. A Warning from the Publisher:Many readers have questions about Lemony Snicket, author of the distressing serial concerning the trials of the charming but unlucky Baudelaire orphans, published under the collective title A Series of Unfortunate Events. Before purchasing, borrowing, or stealing this book, you should be aware that it contains the answers to some of those questions, such as the following:1. Who is Lemony?2. Is there a secret organization I should know about?3. Why does Lemony Snicket spend his time researching and writing distressing books concerning the Baudelaire orphans?4. Why do all of Lemony Snicket's books concerning a sad dedication to a woman named Beatrice?5. If there's nothing out there, what was that noise?Our advice to you is that you find a book that answers less upsetting questions than this one. Perhaps your librarian, bookseller, or parole officer can recommend a book that answers the question, "Aren't ponies adorable?" 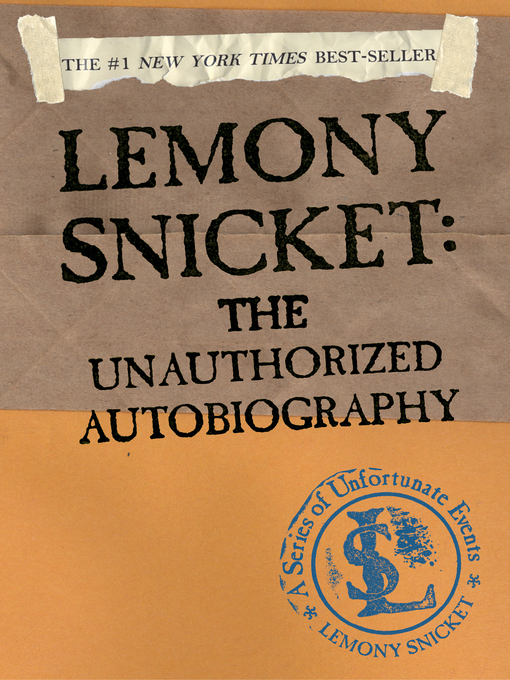 A series of unfortunate events: lemony snicket : The Unauthorized Autobiography.